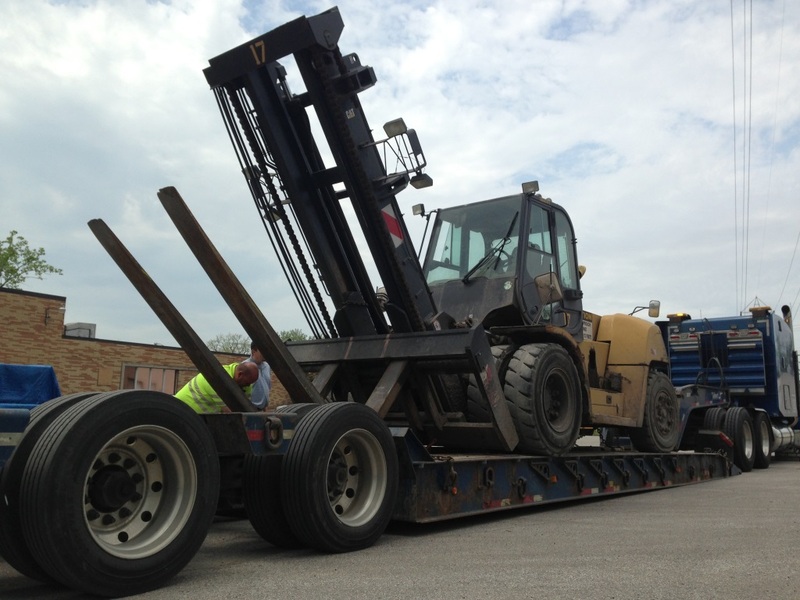 We always get a kick out of watching the big forklifts being delivered. This Cat forklift has a 36,000lb capacity and the whole machine weighs 46,000lbs. The mast is a little too tall to ship on even the lowest trailers so the tilt pins had to be removed and the mast was tilted farther forward. This machine was sold new to a steel processing company in Michigan. We’ve cleaned it up and have it available for sale. Here are a few photos of it being delivered by Rich’s Towing.